Cherise started cycling at the age of nine with her family and fell in love with the sport. She went on to represent South Africa at the 2008 Olympic Games and at three Commonwealth Games. Cherise considers her biggest achievement earning a silver medal at Junior World Championships and a stage win in the women’s Tour de France. 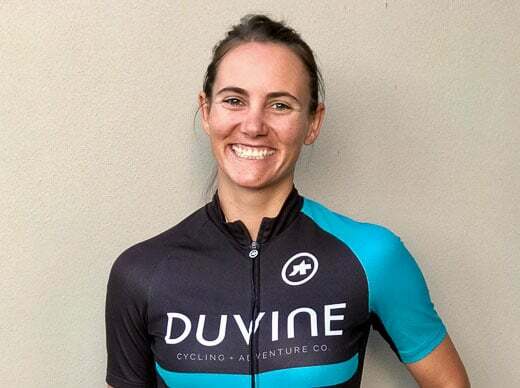 She claims eight National Championship wins in different cycling disciplines. In 2013, Cherise’s husband was tragically killed while cycling, leading her to take a step back from road racing and move into MTB’ing. She’s completed three Absa Cape Epics and won national Marathons Champs. In 2016, she gave birth to her first son and began guiding the very next year. Cherise loves nothing more than sharing her passion for this beautiful sport whilst admiring the beauty around us. She’s intrigued by different cultures and loves meeting new people from all over the world.